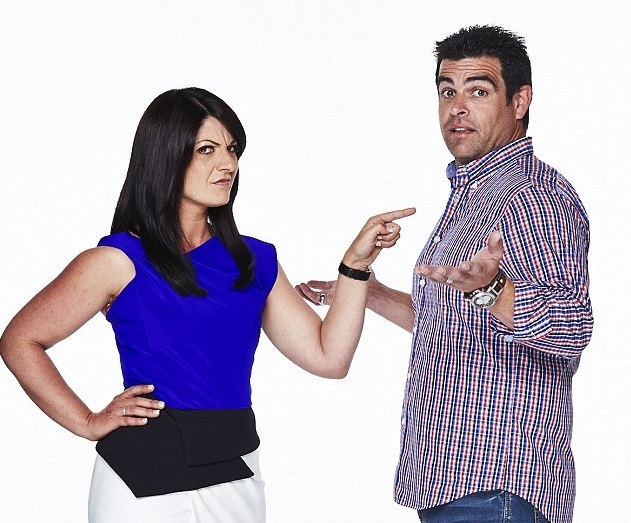 Tim and Anastasia from this season’s The Block: Triple Threat were caught out this week. They had incorrectly measured the dimensions of their shower glass. Allowances were overlooked, and as a result, Anastasia was confronted with an ugly, permanent solution to bridge the gap between the shower glass panes. It should be easy right? Point A to Point B = X. But in renovations and even new constructions, incorrect measurements are a frequent source of frustration, delays and unintended cost blowouts. But firstly, hello to my year 11 and 12 maths teachers, with whom I frequently argued that maths, was a pointless skill I would never use. You win! So ladies, let’s get it right. The types of measurements you’ll need to take will include everything from metres squared (m2), to volumes, and linear metre measurements covering height, widths and depths. There is actually a bible for the building industry that supports this practice. It’s called the Australian Standard Method of Measurement of Building Works in Practice (ASMM). It’s the basis of what we do, but don’t try to get your hands on a copy online because you can’t. They only exist in Bricks and Mortar Libraries. You’ll need a tape measure for this, and the most common are the metal type. But if for some reason you are measuring particularly long distances – like the entire length or width of building – there are a number of options for you, particularly the flexible fabric tape measures. Personally, I’m off to Bunnings to get a little lightweight Ryobi laser measurer thingamabob. I would also have a pencil on hand and something to write the measurements down on, I generally have a notepad per project. Let me tell you something: as a home renovator or maker of maintenance, it doesn’t really matter if you don’t measure in millimeters. If you use meters, that’s totally fine. Blokes at the hardware may look at you strangely but don’t accept any condescension. Just be consistent and pick one and stick with it. If you are still working with Imperial, that’s whole different problem! The other thing to know is that when you take measurements down, you should always follow the formula of height x width x depth. This is where I have always tripped up. Neat – a neat measurement is an exact measurement, not estimated or rounded to a nearest number. Running measurement – taking measurements so that your ‘run’ intersects with major features of the room like windows. A running measurement involves a measure, for example, of the distance from the corner to the edge of the window, the width of the window, or then from the other edge of the window through to the next corner of the wall. You get more details, but you should also do a cross reference to a full measurement. Full measurement – total length or width of a wall, irrespective of features like windows and doors. Step 1: What are you measuring and why? Each of these requires that you take a specific set of measurements to suit. Sometimes called a field sketch, this is a quick drawing of whatever it is you are intending to measure. Some of my better examples are included below. Hello again to my maths teachers past. Yes, again, you were right. If you are measuring up multiple windows, door openings, rooms or the like, make sure to label each sketch so that you don’t confuse them. Even chuck a date in to help you out if you are doing it over a number of weekends. This is where novice renovators begin to really show their true colours. It’s fine if no one is watching, but if you have an audience you might want to practice. Or phone a friend. There are particular ways that make it easier to use a metal tape measure. Here are some of the basic or more common formulas for your use: You may use these calculations when coming up with how much paint you need, how many floorboards to cover an area, how many tiles for your splash back and how much mulch to order and more. Don’t see a measurement you need? Hit me up on the Facebook page and we’ll help you out. Some measurements are easier than others. It’s pretty straight-forward to determine the length or width of a fence. It’s a little more complex to measure up for tiling or glass installations, which must be precise lest a costly mistake be made. In fact, most glass suppliers will come to you to take measurements of their own before they ever rely on yours. And if they ever do rely on your measurements, keep in mind they are at your risk. And it’s a high risk. Standard mismeasures caused by distraction and not wearing your glasses, remember measure twice and cut once! So as you start your project planning keep this handy as a reference point and remember, measure twice – cut once!